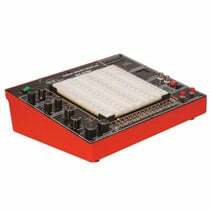 Whether you're building or restocking your workbench, you want to be sure to have all the essentials when it comes to electronic design basics. It doesn't matter if you're a time-tested veteran designer or an engineering student; a steady stock of reliable and affordable components is what you'll need. Jameco is here to provide the many quality parts you're going to need at some of the best prices around. 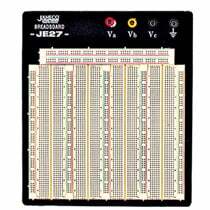 Every electronic design project starts with a breadboard. The selection of boards at Jameco is vast, so you can have any type that fits your daily routine. 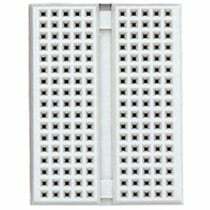 There are small boards less than 4 square inches for those projects containing valuable real estate, or big boards with over 3000 contact points for those multiple-stage projects requiring extra space for troubleshooting. There's also powered project boards with power supplies built directly into the breadboard for easy powering without the need of a lab bench nearby. Need some wiring to go with that board? We have 100-foot reels of wire or, if you'd prefer, wire kits that are pre-stripped and ready to be used. 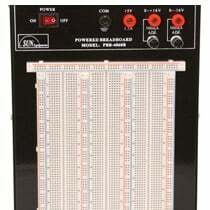 If you're going to be working on your breadboard day in and day out, you are definitely going to need many components. There's nothing worse than being in the middle of a project and having to postpone everything due to that one burnt-out chip, or not having that one specific part on-hand. 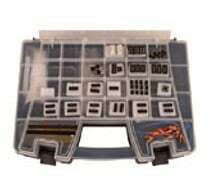 What you need is a Deluxe Electronic Component Kit. 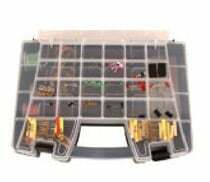 With two types, they contain just about everything you are going to need and they even come in a handy carrying case so all your parts stay organized and easily portable. Want more of a starter kit? 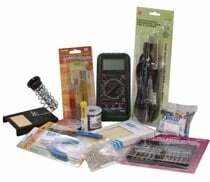 Check out the DMM starter kit, which includes a multimeter, soldering iron, breadboard, capacitors, resistors, and more. 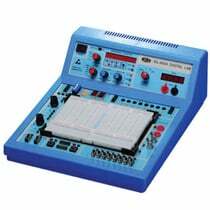 Every electronics workbench needs tools to deal with wires or excessively long leads on components or power supplies. No matter what project you are working on, you need to have the proper tools. We carry a variety of strippers, cutters, and crimpers to choose from to satisfy your needs. Not sure which to pick? 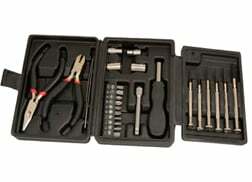 Check out our tool kit below. Outside of tools, you will also need reliable instruments readily available at all times. You can set up your own workshop equipped with a benchtop power supply, oscilloscope, multimeter, function generator, and soldering station. Understanding that cost is a major issue when building a workspace, we offer multiple labs-in-one. With three different instruments packed into one piece of equipment, these lab centers can go a long way in your testing procedures. Just throw in a test lead starter kit and you are ready to go. Turning surface mount components to through-hole packages, has never been so easy. You can have all the necessary components on one single board, and when it's finished, place them in a specialty enclosure for a premium, snug fit with protection from nature's elements. Getting all the right parts that you'll need to be prepared for the new school year is simple now. 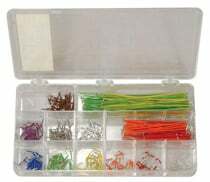 We carry almost everything that you use in the laboratory. Remember, if there's anything you need that we don't carry, let us know and we will do our best to not only get it, but price it competitively as well. Still have questions? Write us at [email protected].